Singapore-headquartered Avago Technologies is in advance stages to acquire Broadcom Corporation for $37 billion in the largest M&A in chip making space, the company said on Thursday. The deal, which is subject to regulatory approvals, is expected to close by first quarter of 2016. Post acquisition, the combined enterprise value of both the companies will be $77 billion and it will have the most diversified communications platform in the semiconductor industry with combined annual revenues of around $15 billion, it said. As per the acquisition agreement, Avago will pay $17 billion in cash and rest $20 billion will be paid in the form of shares. Hock E Tan, president and CEO of Avago, will continue to serve as president and CEO of the combined company while Henry Samueli, co-founder of Broadcom, will join the board of the combined company and will become CTO of the combined entity. Henry T Nicholas will serve in a strategic advisory role within the combined company and will report to Tan. "The combination of Avago and Broadcom creates a global diversified leader in wired and wireless communication semiconductors. Avago has established a strong track record of successfully integrating companies onto its platform. Together with Broadcom, we intend to bring the combined company to a level of profitability consistent with Avago's long-term target model," said Hock E Tan, president and CEO of Avago. Founded in 1999, California-based Broadcom develops semiconductor products. It designs, develops and supplies semiconductors for wired and wireless communications and is also engaged in research of high definition television and other networking aspects. Last June, the company acquired Bangalore-based business unit of Ittiam Systems for an undisclosed amount which included unit for its talent and internet protocol. Prior to that in 2013, Broadcom had acquired Bangalore-based Renesas Mobile India Pvt ltd.
"Our customers will gain access to a greater breadth of technology and product capability. For our shareholders, the transaction provides both compelling up-front value as well as an opportunity to participate in the future upside of the combined business," said Scott McGregor, president and CEO, Broadcom. 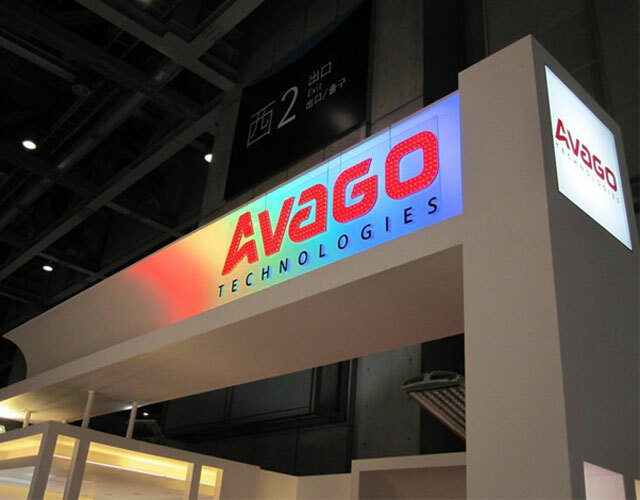 Avago was founded in 1961 as a semiconductor products division of HP which got separated as Agilent Technologies in 1999. Later in 2005, KKR and Silver Lake Partners had acquired the semiconductor business division of Agilent Technologies for $2.6 billion and formed Avago Technologies. The company offers fiber optic, LED, LSI, motion control encoders, optical sensors, radio frequency and microwave. It also manufactures enterprise storage chips and PCIe switching and bridge chips. In the last one year, Avago has made around three acquisitions. Avago Technologies Ltd. Broadcom Corp.